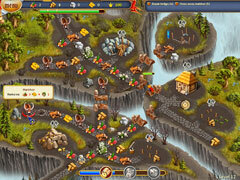 Play Fables of the Kingdom, an exciting simulation game, and rescue the kidnapped Princess! 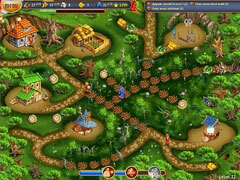 Discover Fables of the Kingdom Premium Edition and enjoy an exciting simulation adventure! A once beautiful Kingdom is in ruins after being attacked by the evil Sorcerer. He destroyed everything in his way and even kidnapped the beloved Princess. The King turns to a brave young man and asks him to rescue his daughter. Can you help this hero on his challenging quest? Save the Princess and play Fables of the Kingdom Premium Edition! UPDATE: This game has been upgraded so that you may now skip intros. Multi-click has been enabled as well.